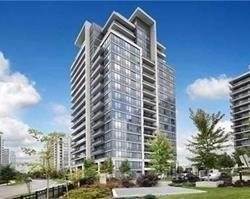 Garage: "Owned, Undergrnd, Parking Space(s): 22, P1"
Pent House Corner Unit, Bright & Spacious 3 Bedroom + Den In Luxurious Fountains W/ Unobstructed Views Of North And West From All Rooms. 1,275 Sq Ft+210 Sq Ft Wrap Around Balcony W/ Breathtaking Views. Many Upgrades $$$ Including: All Floors Throughout, Kitchen Cabinets/Lighting, Kithcen Island, Caesar Stone Counters, Washrooms, High End Window Coverigns & Blinds Throughout. The Most Desirable Area Of Thornhill. Steps To Mall, Public Transit, Parks, Walmart. ▪ Extra Features: Ensuite Laundry, Patio ▪ S/S Firdge, Stove, Dishwasher, Microwave With Hood Fan, Washer & Dryer. All Blinds And Electrical Light Fixtures.